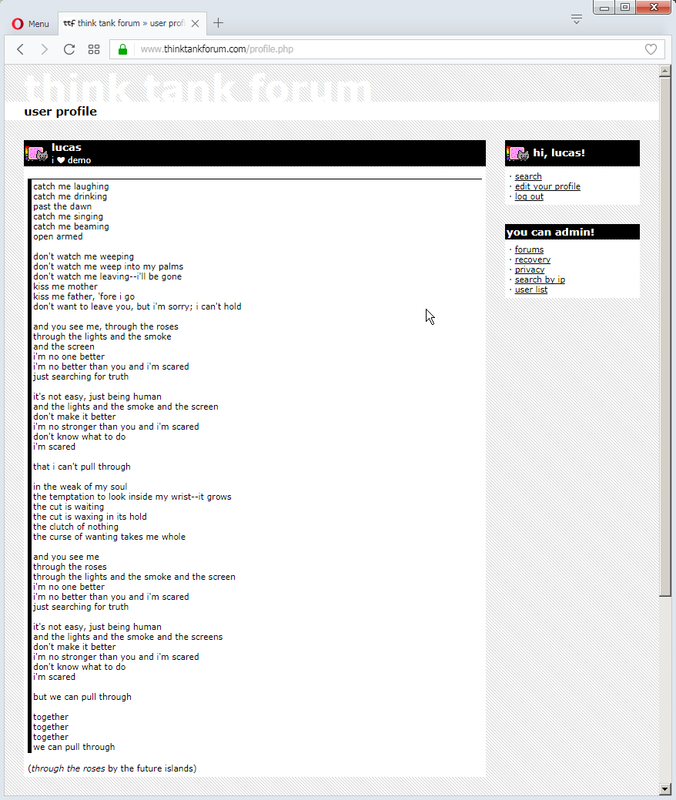 really, though: i need to renew my trademark "think tank forum" by 2017-aug-09. i need to file specimens of the website to be permanently stored by the uspto with the registration. do you have any content publicly available on the website that you'd like to make slightly more immortal? i know this is just the uspto principal tm registry, so maybe not very meaningful to you. but i don't believe in any ultimate immortality or posterity--i think immortality is all by grain and degree, and that our progeny can dismiss them in kind. so, any requests? right now it's just me and asemi in this one. click documents tab, then click on "Aug. 10, 2017 -- Specimen"